ALOR SETAR: The boat broke down, leaving the six anglers and their skipper to drift towards Indon­esia. Luckily, one of them was a car foreman and another was a former Giatmara student. The two almost gave the boat engine a complete overhaul at sea and got it to cough back to life after being stranded at sea for about 40 hours. “We were drifting fast towards Indonesia, so we had to try,” said ex-Giatmara student Mohd Nazri Abd Hamid. “We took out the whole thing and fixed everything one by one,” the 46-year-old said, adding that the main problem was the fuel pump. The group had ventured out to sea early Sunday morning. By evening, their boat was showing signs of trouble. Mohd Nazri and car foreman Jasni Daud, 45, then tinkered with the engine desperately. Looking exhausted but relieved, the group returned to Kuala Sala jetty at about 4.30pm yesterday and were given a rousing welcome by about 100 family members and friends. Angler Muhd Salihin Ibrahim, 52, said that yesterday morning they were over 40 nautical miles from Malay­sian shores. “All our phones were out of range,” he added. The others on the boat were skipper Kharulanuar Arsad, 39; Moha­mad Ramli, 57; Azmi Raif Mat Noh, 46; and Thai Kean Onn, 49. Earlier, Mohamad’s family in Kulim lodged a police report when he did not return. 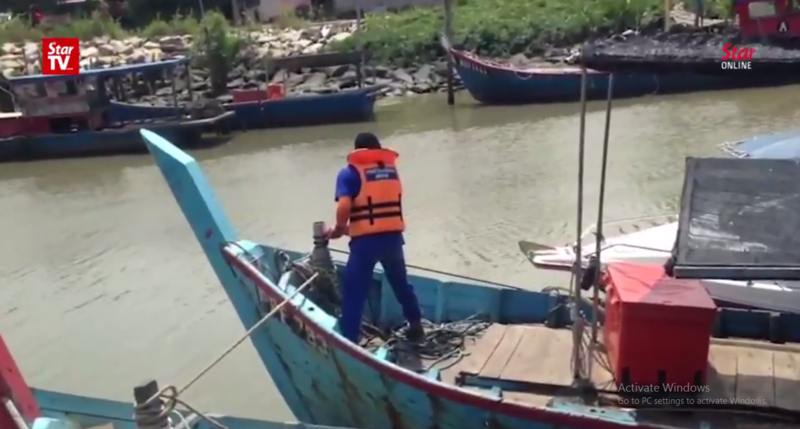 The search for the seven involved three boats and an airplane from the Malaysian Maritime Enforce­ment Agency, a boat from the state Fire and Rescue Department and many fishermen’s boats around a 210 nautical mile radius.